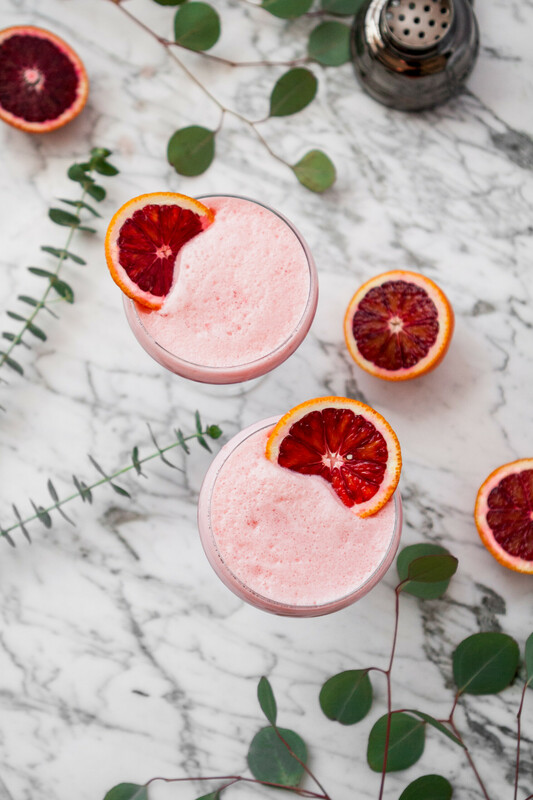 Gorgeously hued, incredibly easy to make, and flavored with blood orange juice and ginger liqueur, this Blood Orange Boston Sour is one celebratory drink worth shaking up. This deep red Blood Orange Boston Sour is what my Valentine’s Day dreams are made of. I’m not much for Valentine’s Day as it always seems to carry such unnecessary pressure to one-up last year or establish ground rules for gifts or no gifts. Not to mention having to decide whether flowers and chocolate qualify as gifts. Just to clarify, we don’t have these conversations, these are all internal debates. Are you sensing where my dislike comes from? Although I will say, G knocked it out of the park this year with a new desk chair. You know you’re old when….just kidding, it’s amazing and I love it (coincidentally it perfectly matches this drink). So about this show stopping whiskey cocktail. It looks pretty fancy but is one of the easiest cocktails you can make. Inspired by the classic whiskey sour, the addition of an egg white upgrades it to “Boston Whiskey Sour” status, or simply a Boston Sour. You might be a bit skeptical about adding an egg white to your cocktail, and I understand that. But hear me out, it adds the most luxurious, frothy texture to the drink and has a way of bringing the flavors together. However, if you’re really freaked out about the egg white, opt for pasteurized egg white or leave it out — you’ll still have a delicious whiskey sour. Combine orange juice, whiskey, lemon juice, liqueur, and egg white in a cocktail shaker, fill halfway with ice, secure lid and shake vigorously for 30 seconds. 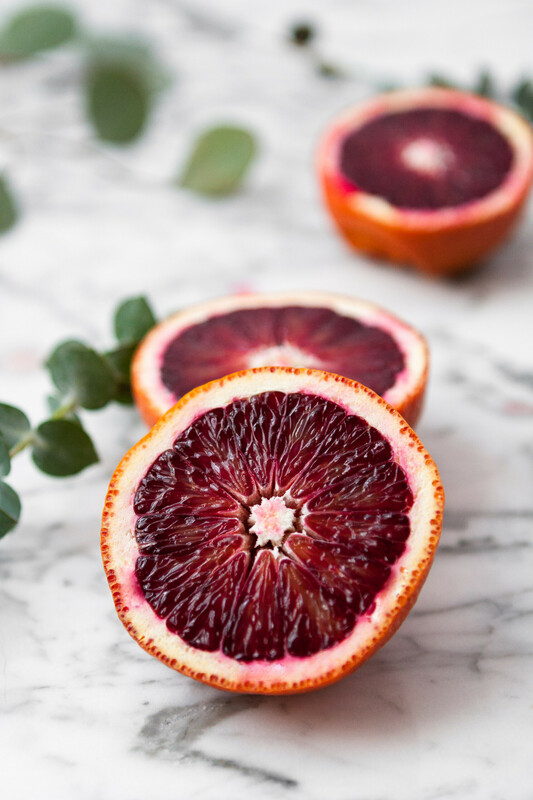 Strain into a coupe glass and top with blood orange slice. So What’s the Difference Between a Whiskey Sour, New York Sour, and Boston Sour? Orange or lemon slice and maraschino cherry as garnish. Wine is floated on top of shaken drink. Will try this one soon!